Happy Vanilla season! Winter is vanilla time, and I look forward to posting a few new reviews and notes over the coming cold months. In the newest issue of [Cook's Illustrated] magazine (Sept./Oct, 2009), at page 31, the following short article was featured. From Cook’s Illustrated, A Better Brand of Vanilla Extract: Your Own, September 1, 2009. Could our homemade vanilla extract beat out the store-bought brands? Most of vanilla’s flavor compounds are soluble in either water or alcohol, so the most shelf-stable form of vanilla is vanilla extract, produced by soaking vanilla beans in a solution of 65 percent water and at least 35 percent alcohol. We wondered if we could make our own vanilla extract by soaking a split vanilla bean in heated vodka (which would contribute very little of its own flavor). After testing several ratios of vanilla beans to vodka, we arrived at 1 bean per ¾ cup of vodka as the proportion most closely resembling the potency of our recommended store-bought brand, McCormick Pure Vanilla Extract. We then tested our homemade extract against this supermarket product in sugar cookies, crème brûlée, and vanilla buttercream frosting. In each case, our extract outperformed the commercial version, boasting cleaner, more intense vanilla flavor. To make vanilla extract, split a fresh bean lengthwise and scrape out the seeds. Place the seeds and split pod in a 1-cup sealable container. Add ¾ cup hot vodka (we used Smirnoff—a premium brand is not necessary) and let the mixture cool to room temperature. Seal the container and store at room temperature for one week, shaking gently every day. Strain the extract, if desired, and store in a cool, dark place. The extract should keep indefinitely. Hot extraction vs cold extraction is an intense debate in the vanilla extract world. Some feel hot extraction gets flavor components that stay in the beans without the heat to dislodge them. 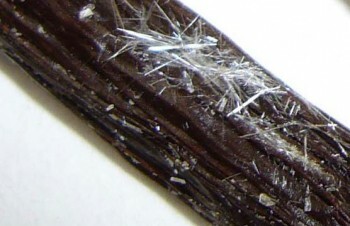 Others feel that natural, ‘cold-pressed’ vanilla extract is the most pure because even mild heat destroys some of the delicate aromatics in the beans. Last Christmas I gave many of my friends bottles of homemade vanilla extract and they are still raving about the flavor. I included Vanilla Review’s recipe for homemade extract and a few extra vanilla beans so they can keep the goodness going. Thank you, Ian, for a wonderful website. I use loads of vanilla here at Market Day Canelé. I go through a pound of beans every week or so. The spent pods go into rum jugs. My recipe includes a generous splash of this rum. It gives a lively note to the canelé. This is the way I’m trying right now. Their suggested ratio of beans to vodka seems much smaller than yours. Many years ago I had the good fortune to visit Tahiti. While there I picked up some vanilla beans. You can get some idea in super maket brands… Cooks brand has a cookie vanilla extract that is part Tahiti. I recently purchased some Madagascar vanilla beans and have been trying to settle on a recipe for extract. I found your instructable on making vanilla extract which led me to your new site. This is wonderful information here and I love the review which someone already says varies from yours. Now I’m very curious about the hot infusion of vanilla over the cold pressed and I just might have enough beans to try both. The only thing holding me back is vodka or some other alcohol base.